We specialize in litigation with an emphasis in the unique issues that arise in commercial litigation and real estate related litigation. We focus on the efficient, beneficial resolution of litigation rather than a long, drawn out process that benefits only the attorneys. We have extensive experience in complex litigation that can only be resolved with resort to a trial and are always prepared to proceed to trial should such a course of action be appropriate or in the best interests of the client. The readiness to proceed to trial has often resulted in a beneficial settlement for the client. We represent real estate ownership and its agents in litigation that range from the relatively simple to complex multi-party litigation. We include among our clients major property holders in the City of New York and Long Island as well as smaller property holders, court appointed receivers, financial institutions and general corporate interests. An oil spill that occurred due to the negligence of the client’s own employee. Substantial cleanup costs that were not covered by insurance were recovered in full from various defendants. Piercing the corporate veil. Tenants often attempt to escape their remaining responsibilities under a lease through the subterfuge that the corporate entity has ceased to conduct business. It has often been possible to pierce the corporate veil of tightly held corporations and force the principals to compensate the client for the remaining obligations under the lease. Litigation resulting from the unwinding of complicated financial derivative transactions including no-cost collars. 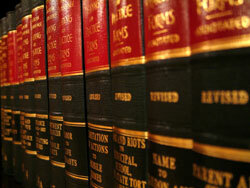 Insurance coverage and related litigation. Disputes between partners/shareholders/members of closely held entities. Prosecution and defense of actions related to issues such as breach of contract, personal injury, property damage, and vendor and contractor services or malfeasance. Disputes related to brokerage fees.